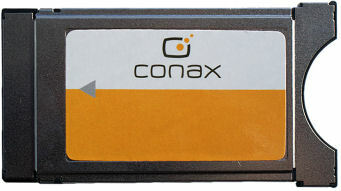 A Conditional Access Module - or CAM - is an electronic device designed to be connected to a set-top box or other form of digital television (DTV) receiver in order to enable viewing of conditional access content such as premium movies, sports or adult channels. While it is not always the case, a Conditional Access Module generally incorporates a smart-card slot required for premium content viewing. CAMs are available for a number of encryption systems in use, such as Nagravision, MediaGuard and Viaccess. Some are capable of handling more than one encryption system, which are dubbed MultiCrypt. An example of a Multicrypt CAM is Matrix. In some cases a CAM is already built into a receiver. 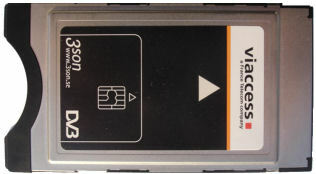 An example of this is a Sky Digibox used to view Sky Digital content in the UK. CAMs are mostly used for Direct Broadcast Satellite (DBS) services, but are also use for premium content on digital terrestrial TV. CAMs are removable to provide enhanced security. If the hardware is broken on a widely used system, sometimes a swao-out is required, which will replace all the CAMs of subscribers if necessary.